The time has come. The cat is out of the bag. My secret has been revealed. My [new] boss now knows my true identity: GrilledShane. Not only is she interested but is also extremely impressed. She lent me a panini cookbook and allowed me to “have” a loaf of our signature bread, Milton’s Wheat, to use in a grilled cheese. 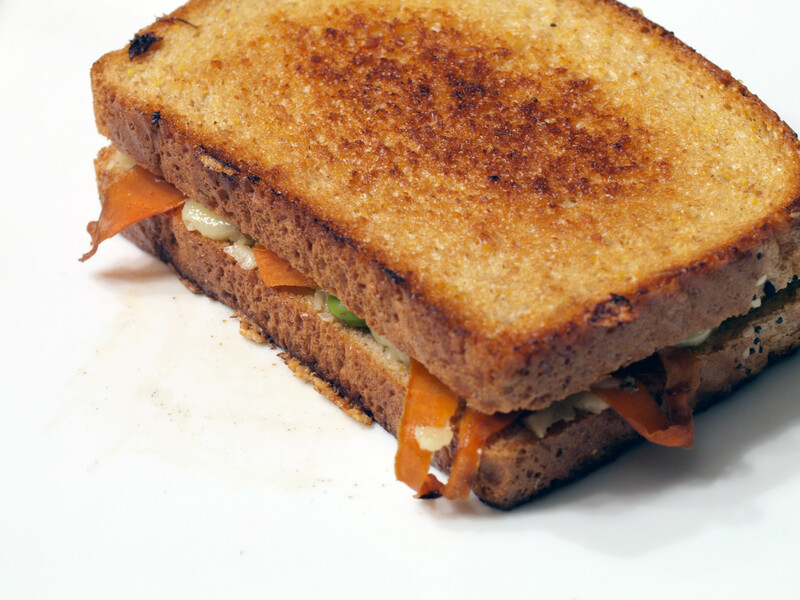 (Don’t tell anyone though…*wink, wink*) From there, I used my Grilled Cheese, Please cookbook to gain inspiration and create this particular grilled cheese sandwich, featuring glazed carrots and edamame. I had no idea what cheese would fit with the ingredients I was going to include. 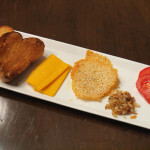 I almost chose beer cheese, but the sous chef talked me out of that. Instead, after searching Whole Foods, I went with a cheese I had never seen before, Kaltbach Apline Extra Cheese. How can you go wrong with a cheese that is aged in caves in Switzerland? Really, you can’t. Emmi, the company that is responsible for this yummy cheese, also makes a Gruyere variety as well as Emmentaler. All of these cheeses are in the same family, with slight differences. In the case of the Kaltbach, it has a nutty, creamy and very delicious flavor. Originally I stumbled on this raw milk cheddar and thought I would use it as the only cheese but as I continued looking, I saw the Alpine Extra and preferred it. Then I thought, why not use two cheeses? 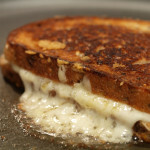 One can never have too much cheese in a grilled cheese. I bought a large chunk of the Alpine Extra and small chunk of the Grafton Village to use as a secondary cheese. Grafton cheese handcrafts artisanal cheddar cheese that is aged from one to four years. This award-winning cheddar is made from primarily Jersey cow milk (raw milk, hormone free), all from small Vermont family farms. I do love my Cheddars and the Grafton Village variety was no different. It was soft, creamy and very sharp. It provided a great contrast to the nuttiness of the Alpine Extra. 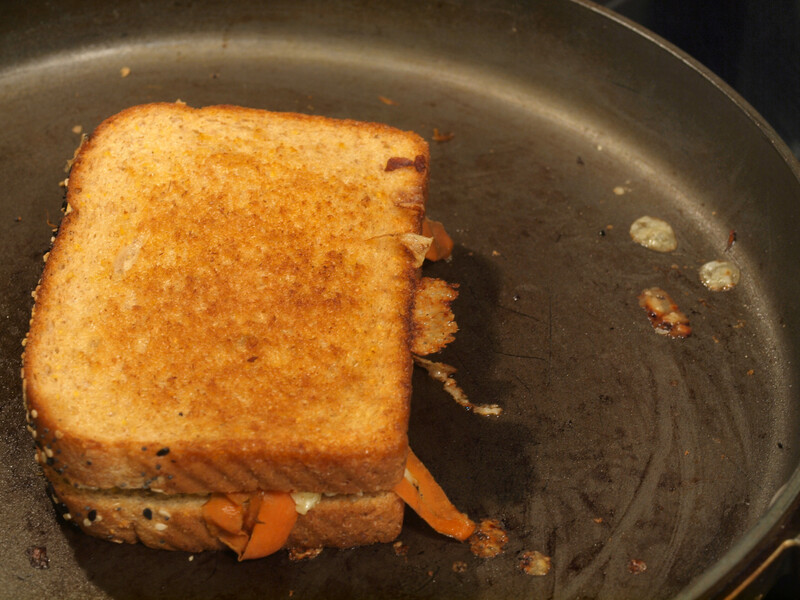 I was looking through my Grilled Cheese, Please cookbook and stumbled on a balsamic glazed carrots grilled cheese recipe. I was going to follow it exactly when a light bulb appeared over my head. 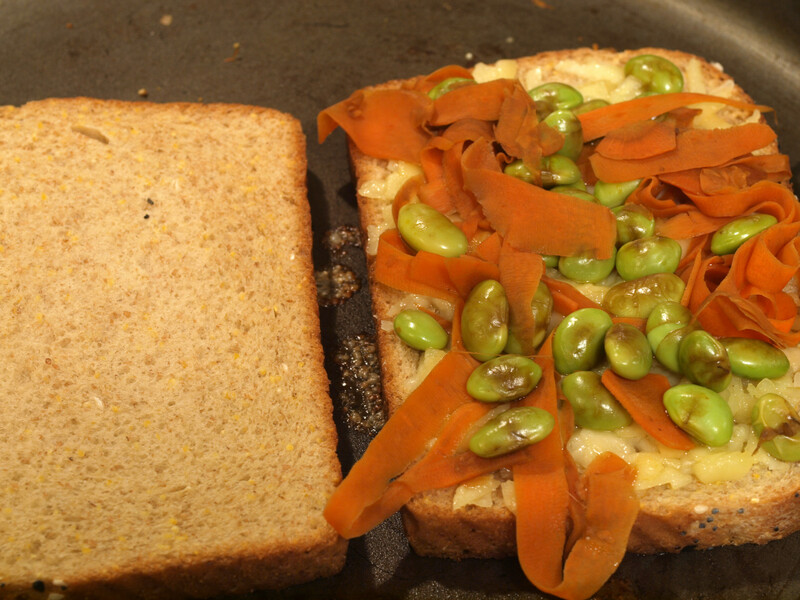 Lately, I have been addicted to edamame and therefore thought, why not include it in a grilled cheese with the carrots? 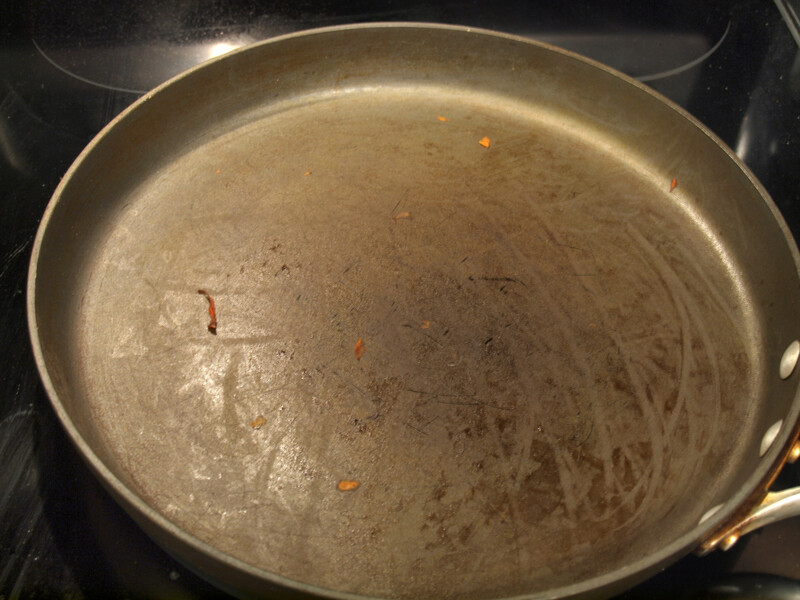 In a saute pan, I placed the shelled edamame with the peeled carrots (instead of sliced) and a little bit of balsamic vinegar and cooked them for only about 5 minutes, stirring to make sure the veggies were covered with the vinegar. How much balsamic vinegar is used depends on your personal tastes. When the restaurant where I worked remodeled, came with it a new concept and a new menu. Gone was the multi-grain bread I was used to and in was this Milton’s whole wheat that I had never heard of. I was a little skeptical, I tend towards multi-grain. The minute I tried it, I was converted. Ingredients such as honey and, I believe, mollasses, make this San Diego bread so yummy and so unique. 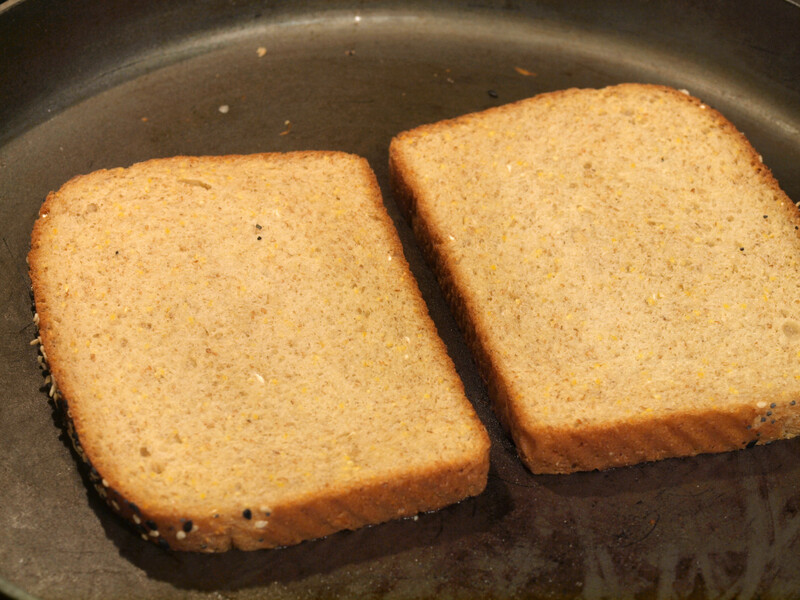 Thanks to my boss for allowing me to “obtain” a loaf to use in this grilled cheese. 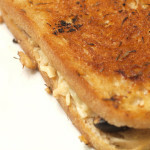 With the assistance of the sous chef, I ended up creating two versions of this grilled cheese. 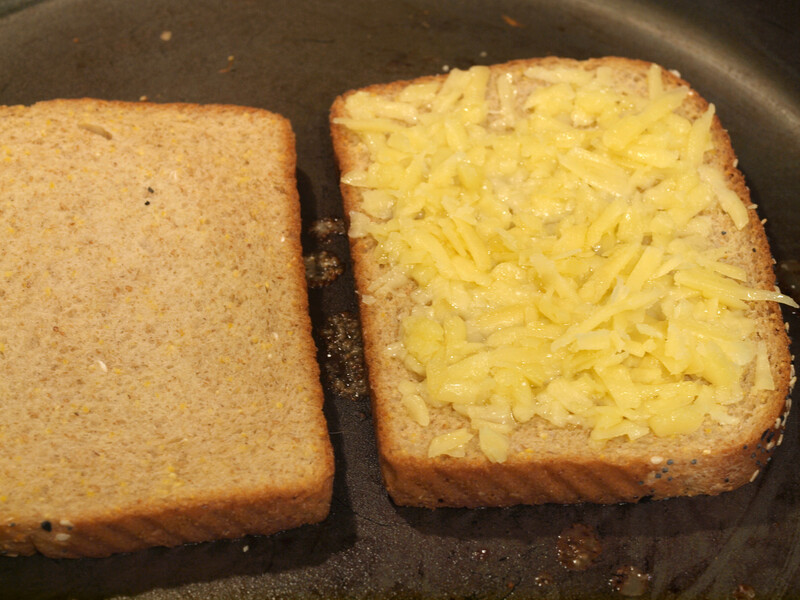 One was heavy on the cheese (photographed) while the other went light. The two versions provided very different flavors, but both as excellent as the other. 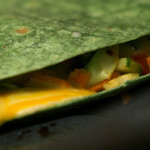 If you are looking for a creamy, strong flavor, with an interesting texture, include more cheese. 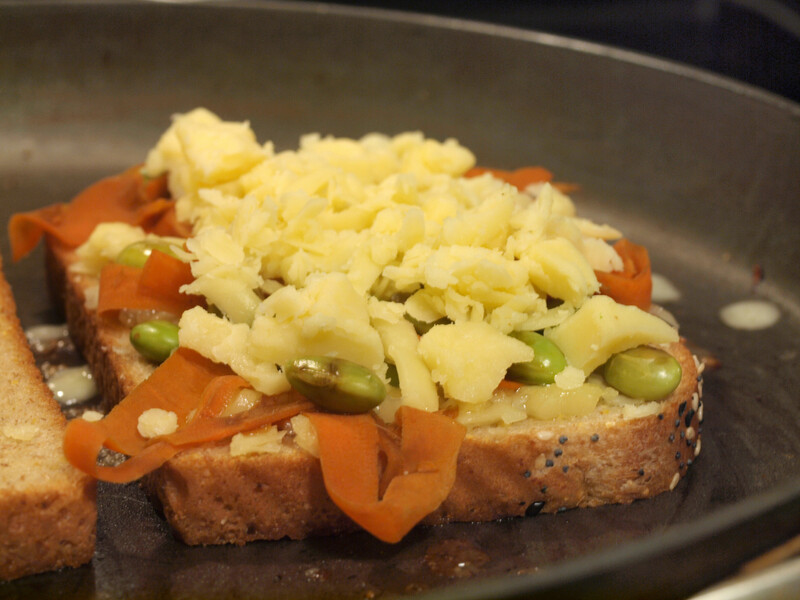 If you enjoy more of a mild flavor with great texture, limit the amount of cheese and include more of the glazed carrots/edamame mixture. You cannot go wrong either way. 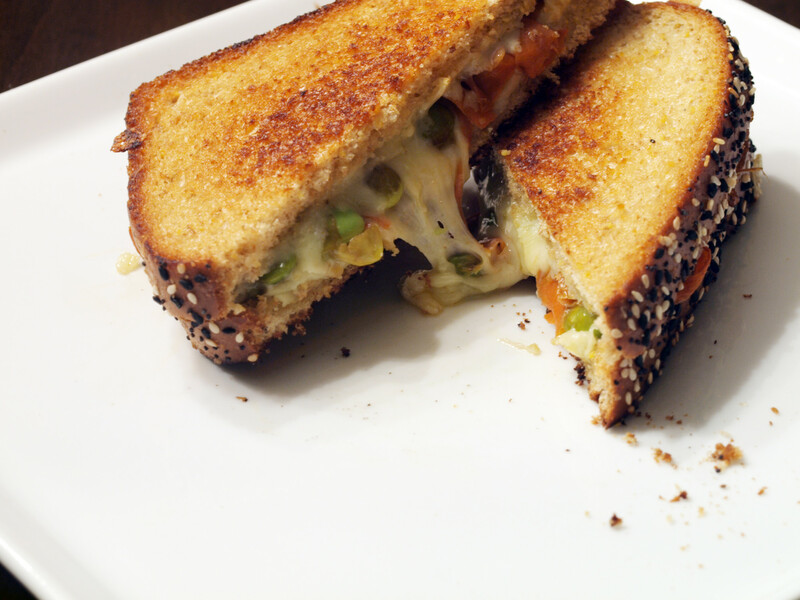 Posted in Grilled Cheese and tagged A, alpine extra cheese, balsamic vinegar, carrots, cheddar, edamame, grilled, miltons wheat, raw milk cheddar. I just love this site. That is an amazing grilled shane sandwich. 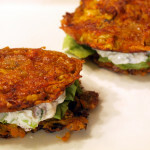 I love the balsamic glazed carrot edamame filling. So cool. I’m making this one. Thanks for sharing these wonderful concoctions.